This Independence Day, dogs of all sizes and breeds throughout the Puget Sound will be flocking to downtown Bellevue for the 6th annual Bellevue Four on the 4th Dog Jog & Walk, to kick off the Fourth of July and show their support for local animal shelter Seattle Humane. 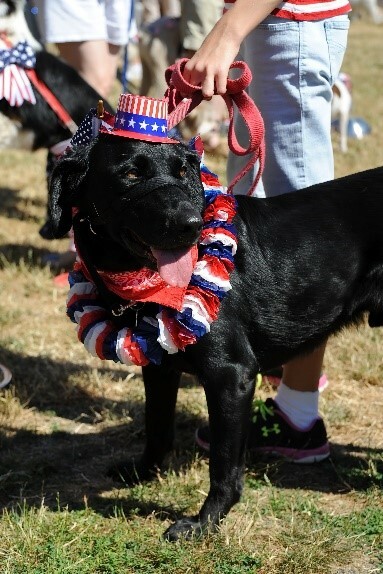 Decked in patriotic gear, these pups and their human companions will start their Independence Day at 9:00 a.m. at Ashwood Park with a non-competitive 4K jog and walk through downtown Bellevue, and post-race celebration. All ages are invited to this family fun event! 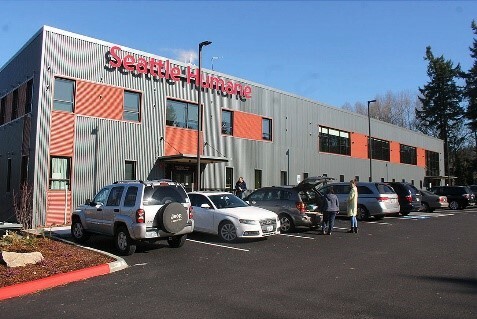 Seattle Humane in Bellevue is an open-door animal shelter that accepts all animals, regardless of age, breed or physical condition with the mission of finding them a loving home. Donations will help fund adoptions, a pet food bank and humane treatment education. At their newly built facility they provide required medical attention, have a dedicated onsite veterinary team performing life-saving medical procedures and behavioral training, and cared for 7,000 pets last year. Seattle Humane will be onsite at the Bellevue Four on the 4th Dog Jog & Walk with their MaxMobile pet adoption truck. Your new best furry friend could be waiting to meet you! While Independence Day is a time for fun and celebration, it can also be a stressful time due to loud noises and bright sights. 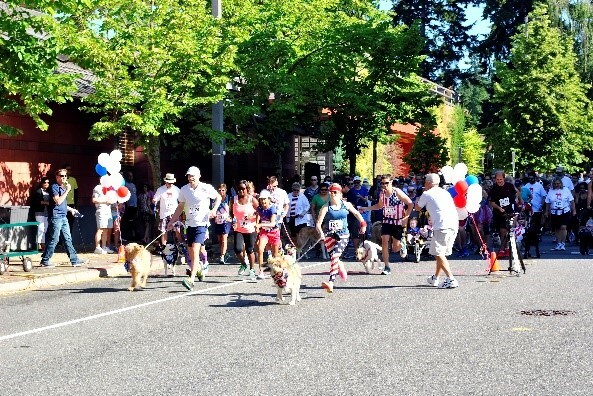 Seattle Humane shares that exercising your dog at the Bellevue Four on the 4th Dog Jog & Walk during the day will help keep them calm and more tolerant of evening festivities. Additionally, Seattle Humane recommends keeping dogs indoors, in an enclosed room, creating a calm environment with their favorite toys, and updating their identification tags and microchips in case the dog does flee in response to loud noises. After the race participants are invited to continue the fun with a festive holiday celebration at Ashwood Park! Complimentary post-race fruit and water for re-hydration provided by Crossroads Grocery Outlet.